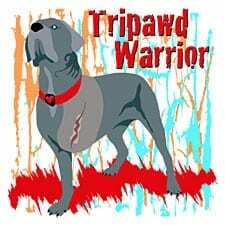 Bellona – the Goddess of war with a heart of a warrior – is the courageous three legged Cane Corso who inspired our latest front leg Tripawds t-shirt designs. 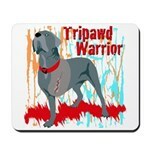 When Bellona’s mom suggested we create a Tripawd Warrior design, we asked for a photo and here’s what we came up with. 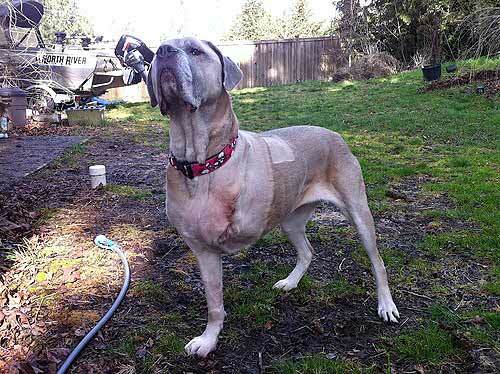 We were so impressed with warrior princess Bellona standing strong and proud of her battle scar, the we created a new Tripawd Power design too! 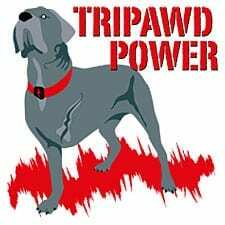 Be sure to check out the entire selection of Tripawd Warrior t-shirts and new Tripawd Power apparel to see the many colors and styles. 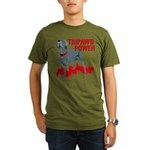 Both designs include two-sided shirts with Bellona on the front Pocket area. 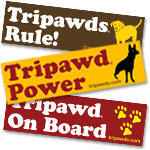 We have updated the Team Tripawds selection of t-shirts and jerseys with both of these designs, so you can show your pride for three legged big dogs at Tripawd Parties, dog events and cancer walks! 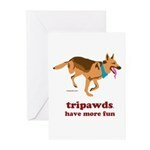 You also will find new greeting cards and ornaments featuring Bellona in the selection of Tripawds Cards and Holiday Gifts. 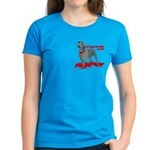 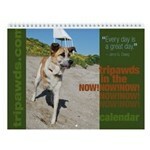 Tripawds Gifts Now On Facebook! 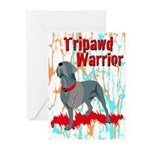 Thanks for the kind words Deb, so sorry for your loss.